This soldering kit includes 4oz. 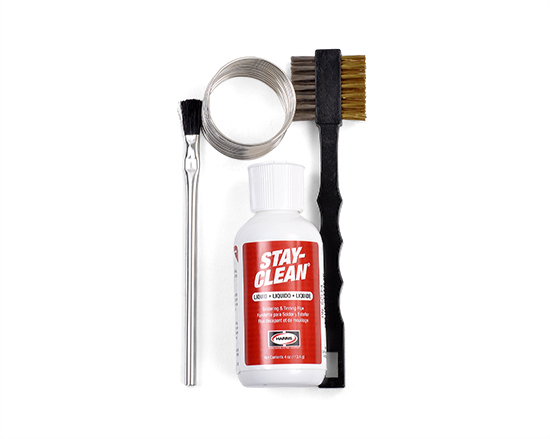 Stay-Clean flux, a flux brush, a cleaning brush with brass bristles and stainless steel bristles, 1oz. of solder, and instructions.